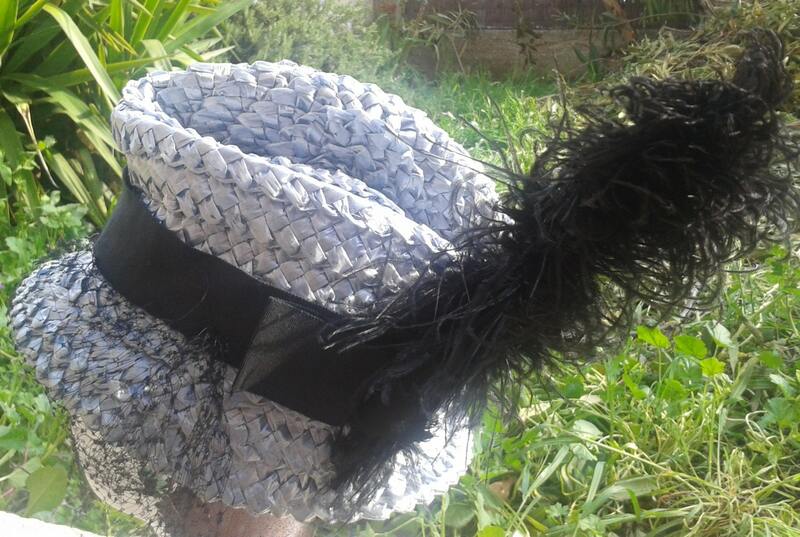 Gorgeous French Hat with an Ostrich feather. 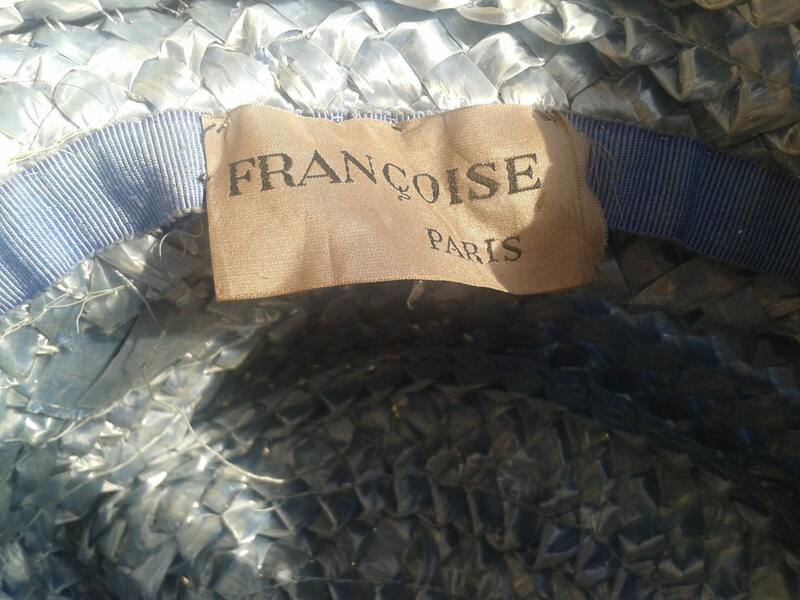 Signed Françoise Paris. 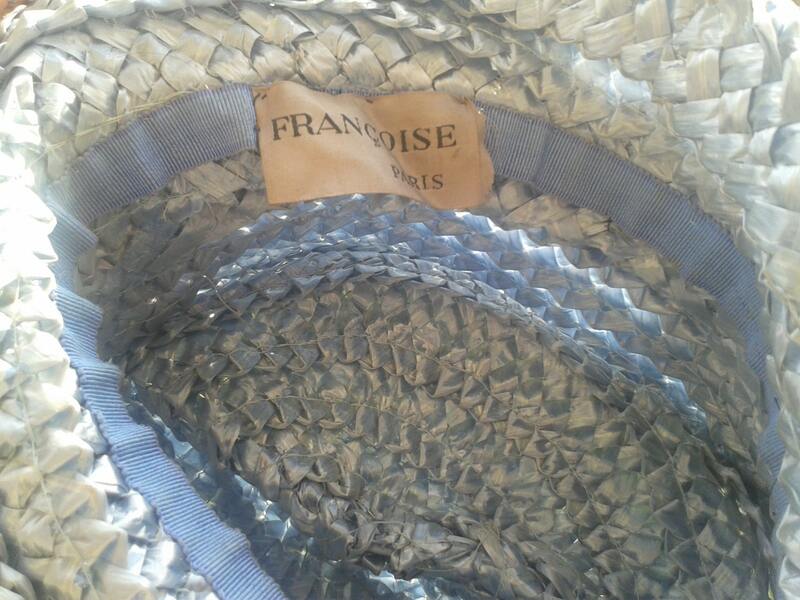 Blue Straw Hat- French Made. 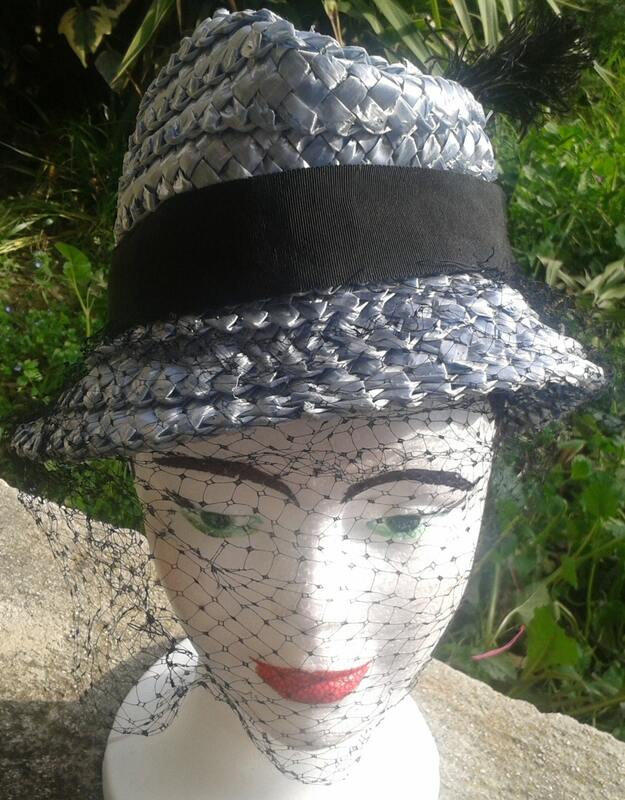 Hat with net and Ostrich feather.The feather was repaired. Black Ribbon . Vintage from the 50's. 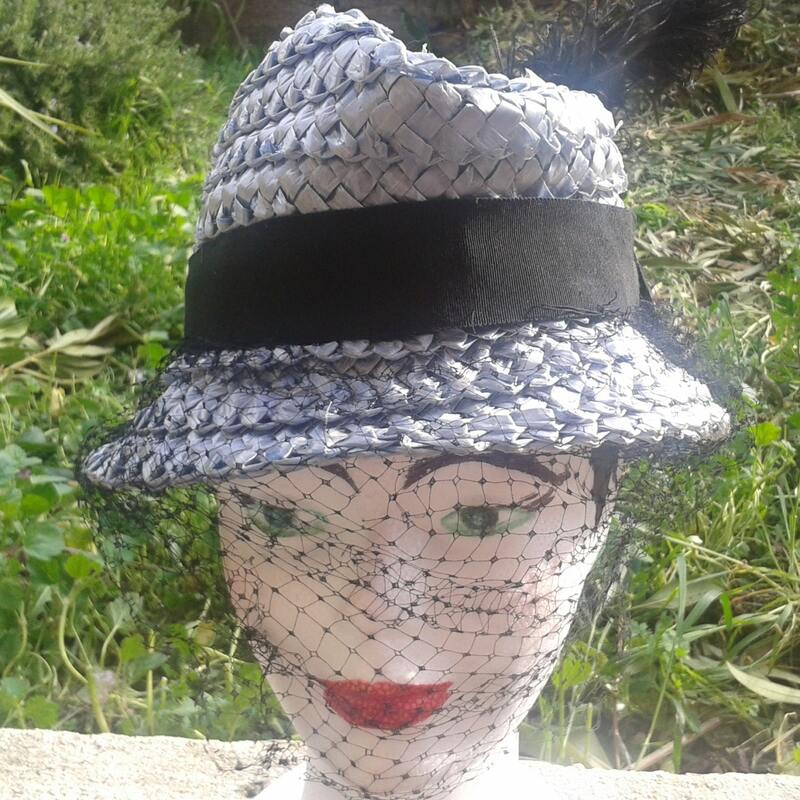 This hat belonged to my grand mother. Very Chic for a Party or a Wedding !